Photo provided by Bernard Joseph Esposo Guerrero. The Richtersveld Community Conservancy is a mountainous desert in the north-west part of South Africa. It sustains the semi-nomadic pastoral livelihood of the Nama people. The Nama are descendants of the Khoi-Khoi, considered as the indigenous inhabitants of southern Africa. The site includes the seasonal migrations and grazing grounds, stockposts (kraals) and haru oms, the portable houses of the Nama. I find it very flattering to be the first one to make a review for Richtersveld. I still wonder why it was not listed as a mixed site (cultural and natural) considering the unique biodiversity and way of floral survival that exist in that region. My friend and I went through Vioolsdrif, near the border to Namibia, where we spent two nights to tick this site off, to get to the core zone. 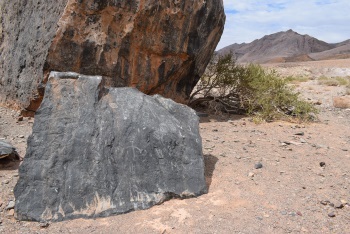 After going through the mountains,and passing through numerous massive rocks with 4,000 yo ancient Nama carvings (as shown in the page's photo above), the landscape dramatically changes to the world of the succulents - actually, upon entering Northern Cape region, the fynbos ecosystem loses presence. On the site, it constantly made me wonder how the plants there survive knowing how little rain the place gets, let alone how it can continually support pastoral activities for thousands of years already. 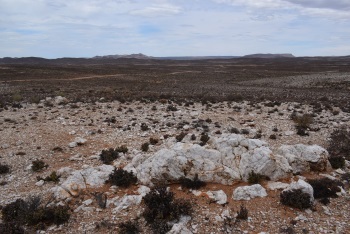 We visited various quartz fields (see photo with this review) where the most bizzare plants grow (the halfmansboom being the most iconic), as well as a goat pen and a water well made by the locals. In our 7 hours stay in that part of Richtersveld, we never saw any other tourists around, making the experience truly memorable for us. I also felt I earned some bragging rights in going here when our guide explained to us that there are only around 400-600 tourists who visit the site every year, as most would rather go to the white water rafting on the Orange river nearby; which serves the site's preservation better, in hindsight. At the end of the day, we saw more of the botanical aspect of the site than the cultural, but it was totally worth it. Built in the 15th century: Written records on the Nama people in this area exist from the 15th century. Possibly arrived earlier, but no evidence found when.